If you are running an event management company it is important to know the costs, expenses, and revenues of a specific event. And it’s impossible to keep track of these costs and benefits without having proper documentation. Preparing a budget is essential to any events. With our free event budget template, you don’t have to worry about it anymore. With this free event budget Template, you’ll have a very organized set of documents in which you can compile, calculate and analyze the budget for any given events. Event budget is a forecast of income and expenses for any specific event. Budgeting is one of the most crucial parts of event planning and management. Missing any information on event budgeting can lead to a disaster. The event budget shows the detailed financial position of any event. A good budget ensures the success of any event. It helps you to understand what you can afford and what you can’t. It keeps the spending decision under control so that you can prioritize your spendings to make better economic decisions. It helps you identify where savings can be made and cut the unnecessary expenses. It also helps you to identify and measure the risks involved in it. An event budget defines measurable and achievable objectives and keeps you on the right track. An event budget can also be used as report documentation for reporting to the management. Our free event budget template has four different worksheets which are event budget, event revenue, event profit summary, and chart data. Each of this sheet has different function and focuses on a specific goal. 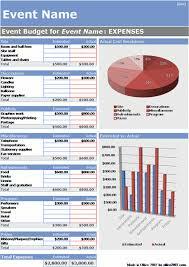 You are going to put all your event cost and expenses on the event budget worksheet. After adding the data it will show you the total cost which is calculated automatically. 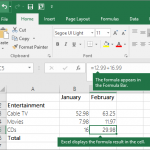 You don’t have to worry about any calculations with you free event budget template. The first sheet also has a pie chart and a graph which will show you the comparison of your actual revenue and cost with your projected revenue and cost. In the event revenue sheet, you will be able to put all your incomes for any given event and it will show you your calculated total revenue for that event. Event profit summary gives you a summarization of your profit. And the chart data sheet is where you are going to put the percentages of chart and graph information. 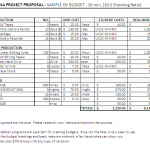 Our free event budget template is a standard template which can be used for any kind of event. All types of business can use this template to calculate their event cost & revenue with this template.